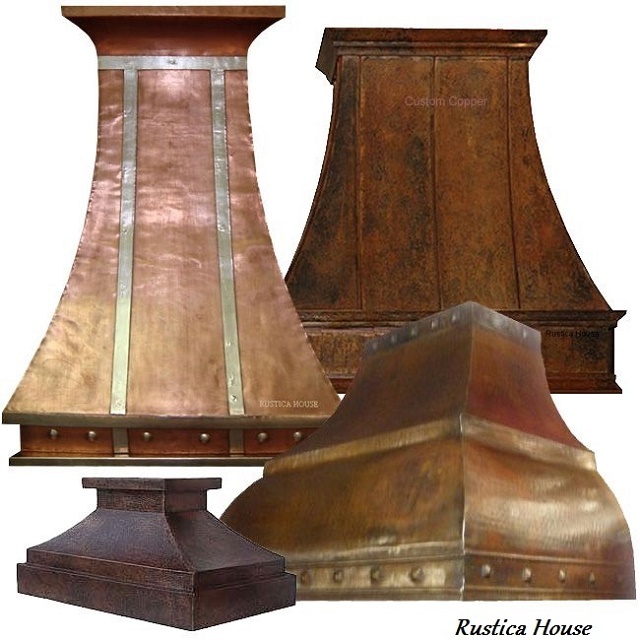 Click the button below to add the Copper Range Hood '0386' to your wish list. Solid copper range hood for kitchen island or wall. This copper hood is offered with a discount vent equipment. It is furnishing with two speed 200CFM fan, light and filter. It can be connected through the hood back wall or up through the ceiling. Also, we can have it manufactured as recirculating hood upon receiving such request. Conversion is free. Presented metal range hood is handmade of solid copper. It can be colored with patina, polished or oxidized green. Delivery time frame is about five weeks and that includes range hood production.